Suchitra is the owner of Little Artists Vision, an institution wherein children are taught drawing and paintings. She has been working since 22 years. Her works portrays the beauty and curve of women in the best form. She does not specifically draw the figure but carves it out from the colors that she uses. 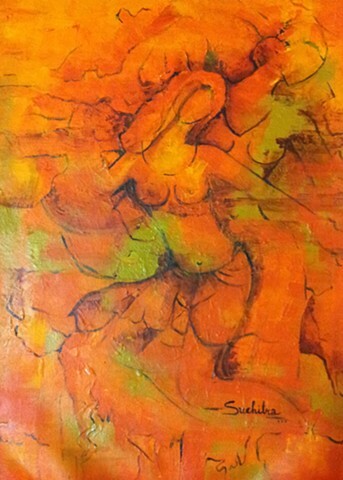 Giving shape of female body and her beauty through brushes.